What’s the difference between SEO and VEO? VEO (voice engine optimisation) and SEO (search engine optimisation) can both organically boost the position of your website in search engine results. While SEO is based on succinctly typed phrases containing keywords; VEO is voice-based mobile search phrased conversationally to find businesses, services and goods, mostly local. When we type a search into Google, we use a few key words shorthand in asking a question. When we speak a question into a smartphone or to a digital assistant, we’re more conversational and ask in a longhand form – this is voice search. Voice recognition devices must not only decode the human voice and understand linguistic nuances but also provide relevant answers. So, why is voice search more important than ever? The way in which we look for information is changing. ‘How do you say egg in French?’, ‘How old is Justin Bieber?’, ‘What films are on at my local cinema?’, ‘Where can I find a great freelance copywriter in London?’ All these burning questions can be now answered in a wink and in a multitude of languages. Siri, Google Voice Search (or Search by Voice), Amazon’s Echo and other Alexa-enabled devices, Windows Cortana and Baidu are on instant hand to solve your head-scratcher in a nano-second. And why is voice search important in copywriting? A mobile voice study by Google in 2014 said that 55% of teens and 41% of adults use voice search more than once a day. By 2020, Google estimates more than half of all our mind-burning questions will be done by voice search. And one of the main reasons for its popularity, is the convenience factor: voice search not only lets you be hands free but also multi-tasking. 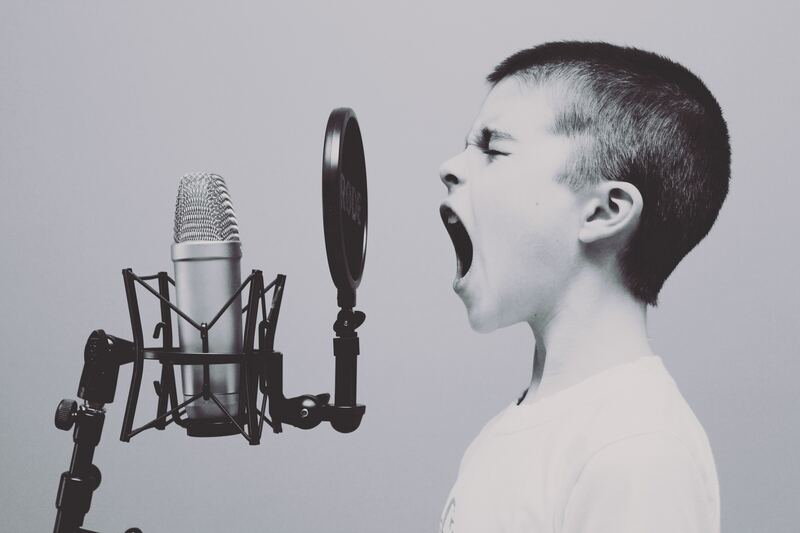 Shiny informative content is your chance to have stand out in an ever-boring marketplace – but now you need to consider voice engine optimisation as part of your SEO strategy too. Normal search is done by most people by tapping in just a few keywords. But voice search is a chattier thing altogether, so you need to identify long tail keywords and what might be used in natural speech – especially as we speak faster than we type. How can you optimise your website for voice search? Ok, so hopefully you’ve already read my blog on how to choose SEO keywords to optimise your site organically … ? Some of those tips also apply to voice search optimisation, but you will need to think a little differently so here’s a quickie guide tailored to voice search. Quora – a great question and answer site that attracts c. 100 million visitors a month. Anyone can ask a question – and anyone can answer, making it an excellent market research tool to identify what’s trending in your business sector or product category. 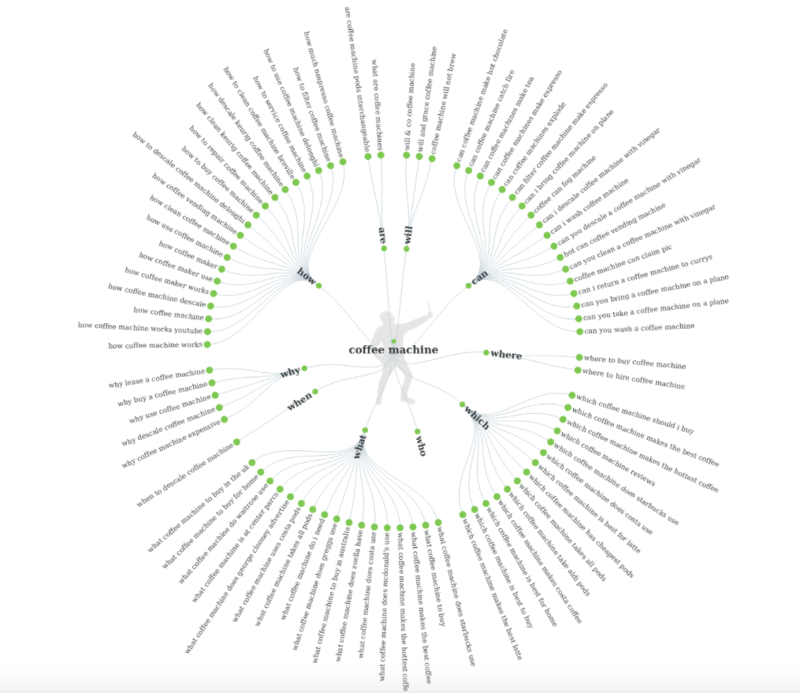 And authoritative answers are often grabbed by Google and Bing and displayed in the #1 search position – see the section below on featured snippets. Here’s what I found when doing some research for a coffee machine client. Google My Business – voice search can recognise ‘near me’ and identify results based on your actual location – but can only find you if on Google My Business. Most voice searches are for locally-related enquiries so adding your business category, contact details and hours will help customers and clients track you down faster than a sniffer dog. Google’s Search Console – this free Google service helps you keep an eye on your site’s presence in Google searches with reports to see the queries people use to find you and any signs of voice in their searches. Frequently asked questions – the simplest tool is to ask around. Talk to your customer service team and ask about typical questions your customers have. Talk to your sales team – they’ll know what’s running through people’s minds when deciding whether or not to hand over their credit card. Talk to your staff on the shop floor – after all, they’re dealing with customer questions day in, day out. As you can imagine, most questions will be asked while on the go so check that your site is optimised for smartphones. Just enter a page URL on Google Search Console and see if it’s chummily mobile-friendly and whizzily fast. I tried my home page and passed. Phew! Know what a featured snippet is? It’s the answer to your question that Google values above all other answers and appears at the top of the Google page. In fact, here is the answer to that very question (and here’s the Search Engine Watch article in full: ‘What are featured snippets and how do I get them?’). Several answers will appearing if searching on your computer but only one answer will be presented if using voice search on your mobile – and it’s likely to be a featured snippet, so it’s all the more important to create relevant and expert-sounding content. Be relevant. Be topical. Be helpful. As devices become more intelligent, copy needs to be written more intelligently and more creatively too so that your brand can shout out above the competition rather than merely whisper. This entry was posted in Copywriting tips, Web content tips and tagged Alexa, Amazon Echo, Google Search by Voice, Google Voice Search, Siri, VEO, voice engine optimisation, voice search on October 22, 2017 by Caroline Gibson.